The Special Collections Department is open from 9:00 a.m. to 4:00 p.m. Monday through Friday. It is closed on weekends and in observance of university holidays. The Reading Room is now located in the Kislak Center on the first floor of the Otto G. Richter Library, on the University of Miami’s Coral Gables Campus. 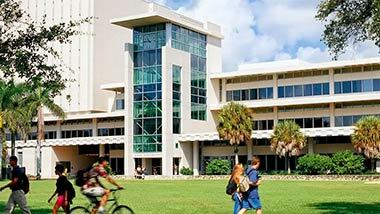 The University of Miami Coral Gables campus is easily accessible from the Metrorail University Station on Ponce de Leon. It is served by Metrobus routes 48, 56, and Midnight Owl (500). Use the Hurry ‘Cane Shuttle to get around the Coral Gables Campus.